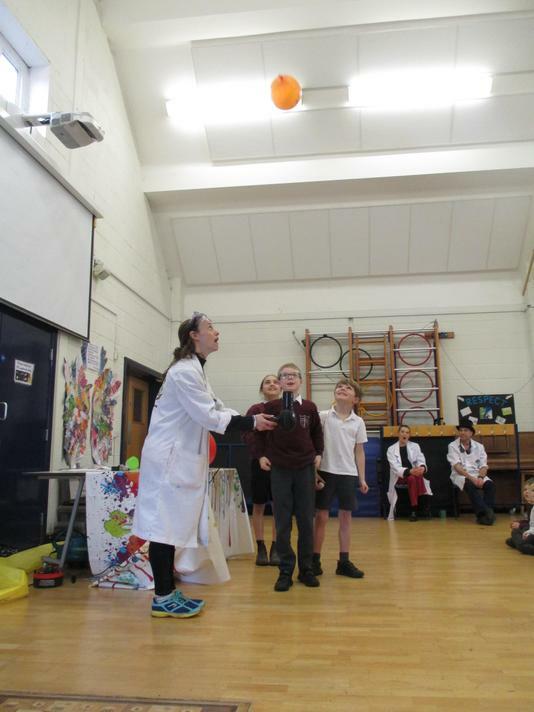 Today was Science Day. 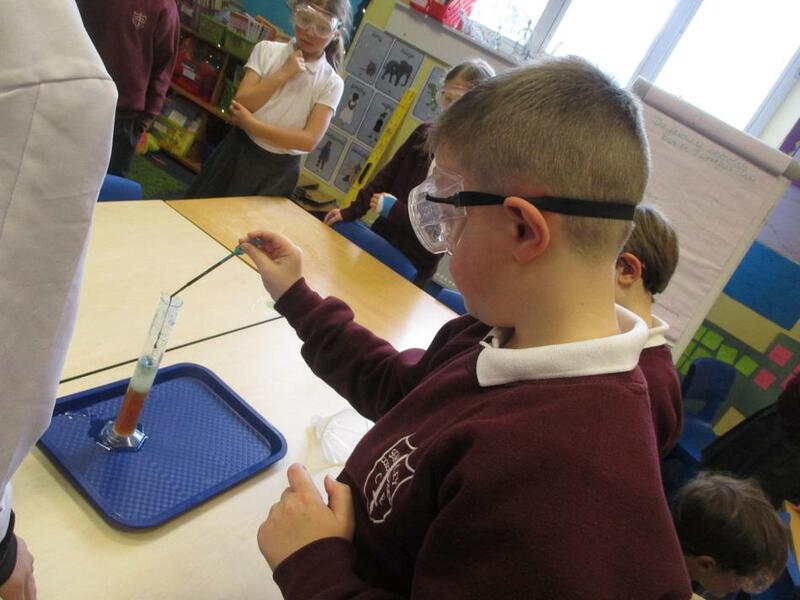 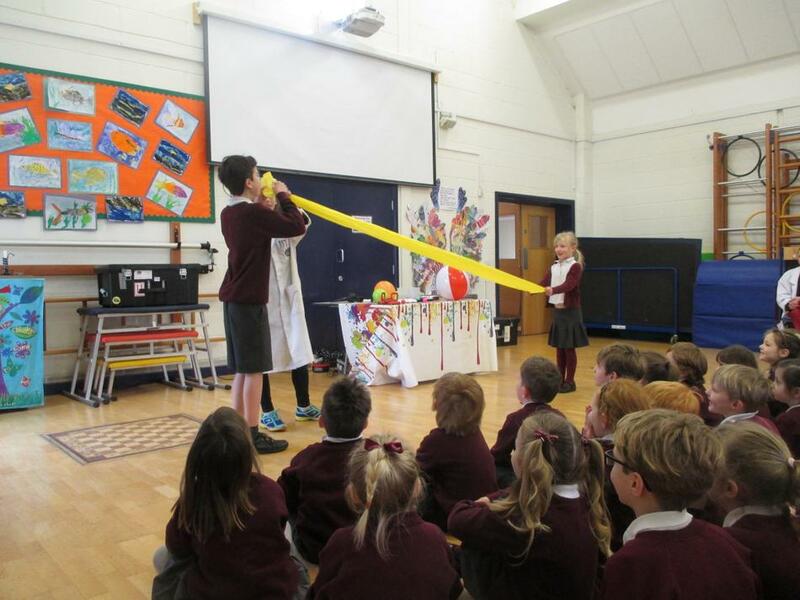 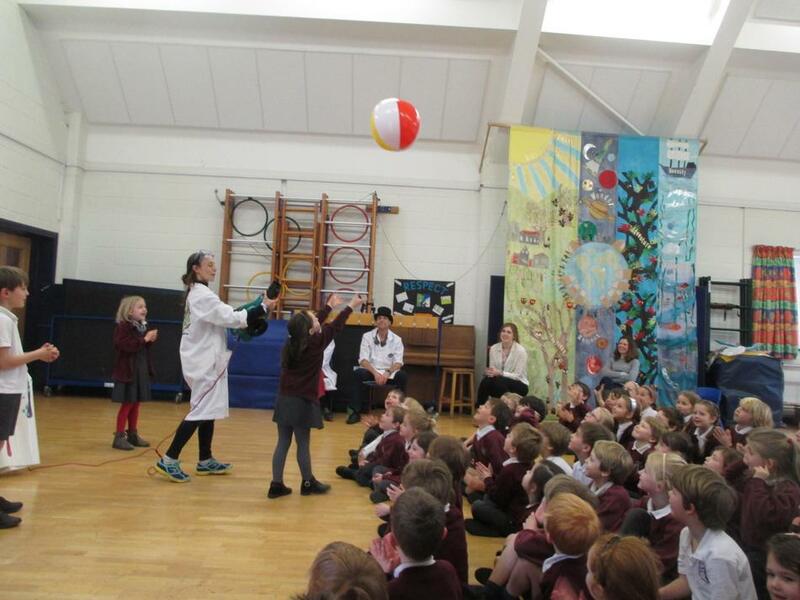 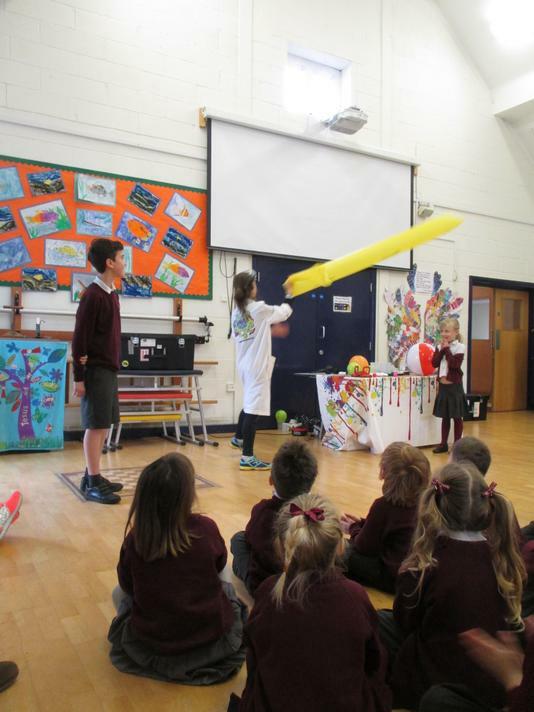 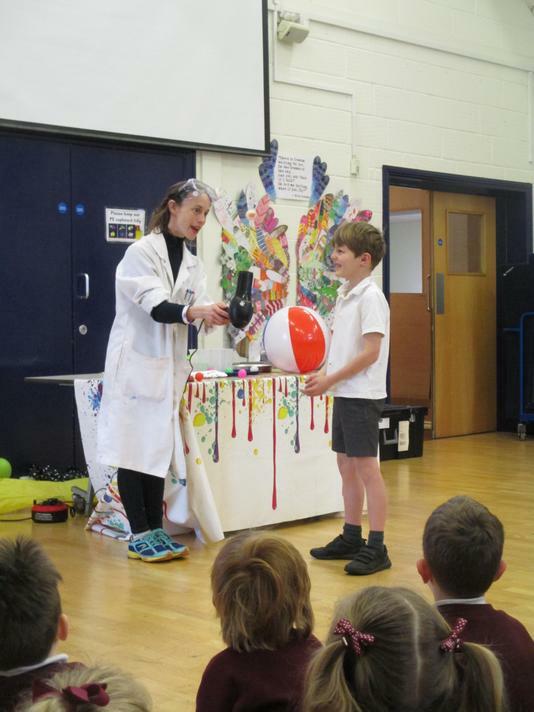 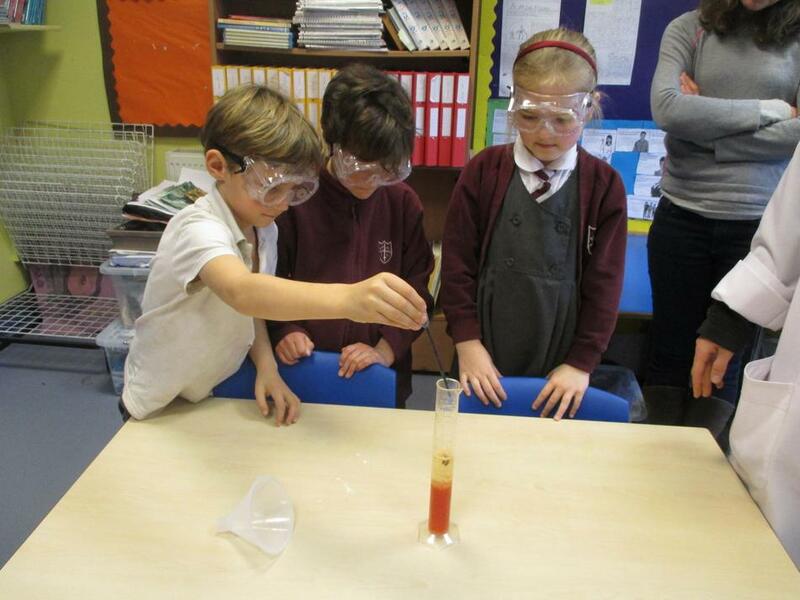 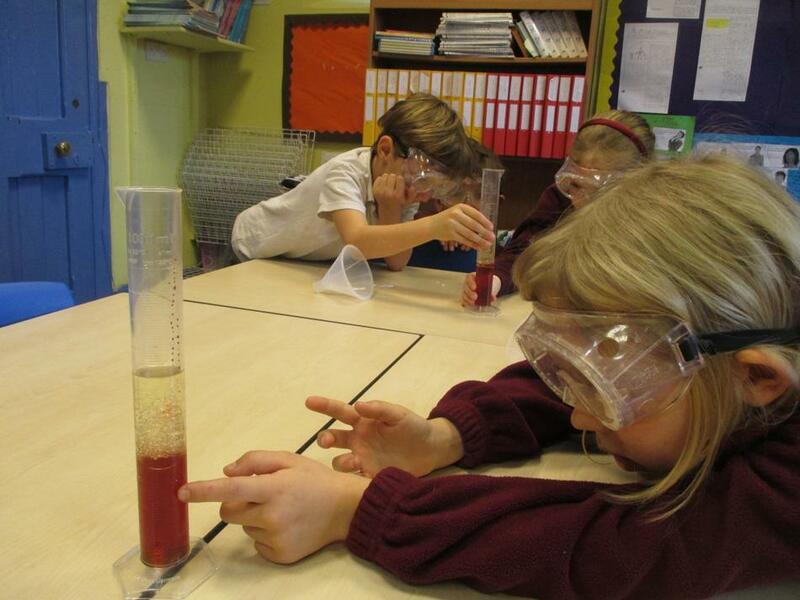 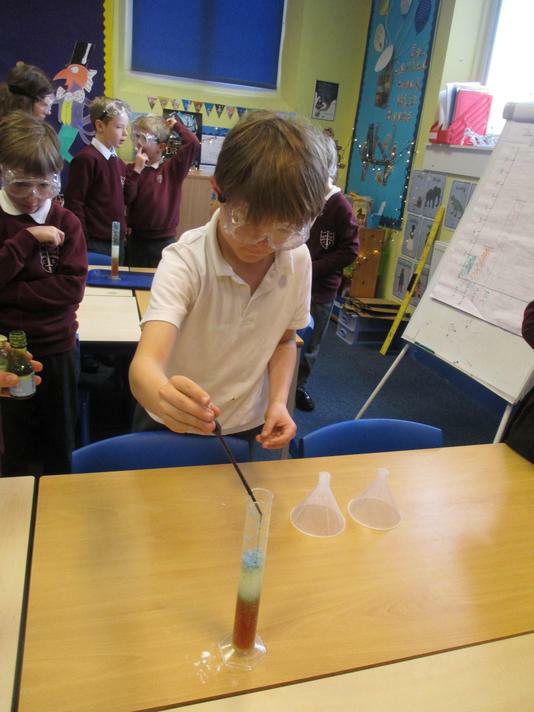 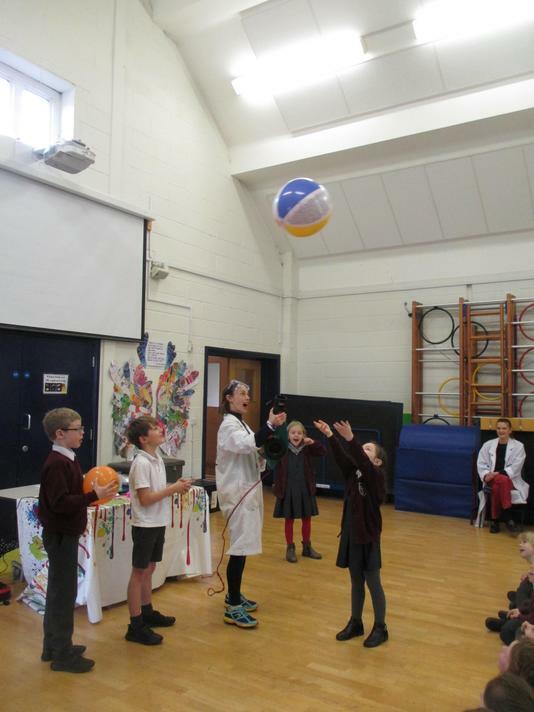 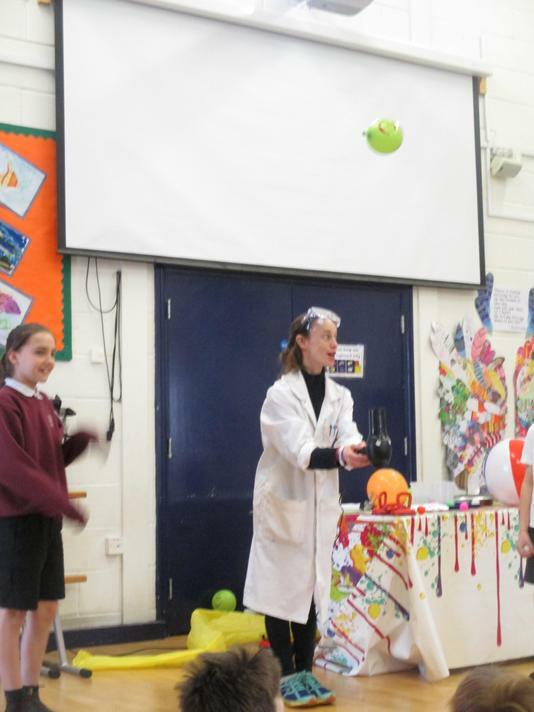 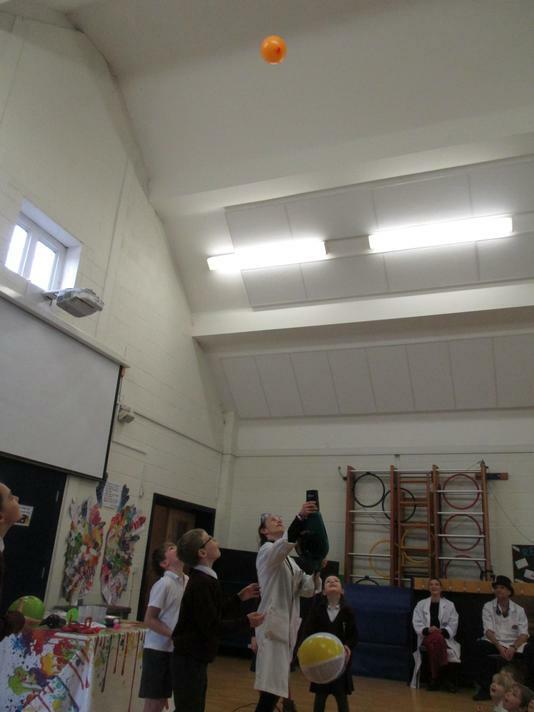 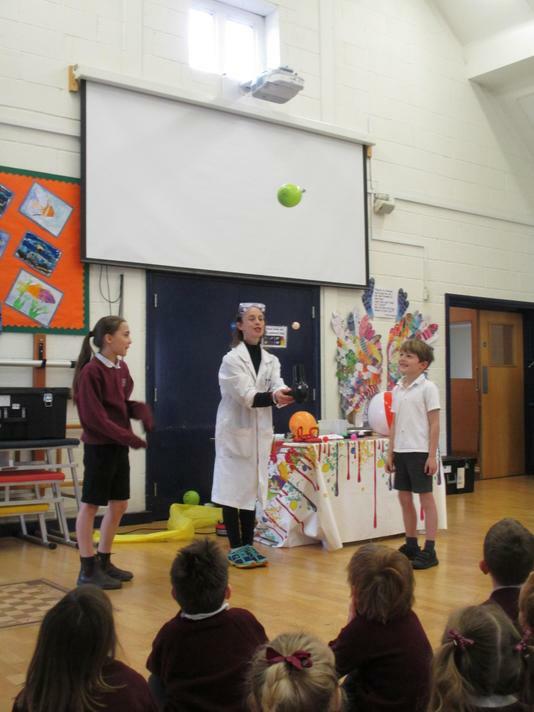 We kicked off the day with a fantastic assembly, we were amazed by all of the incredible experiments! 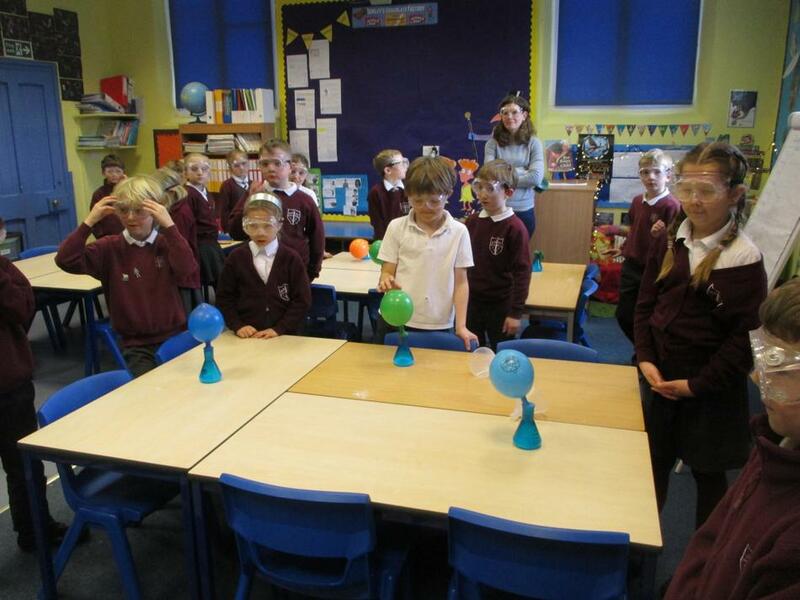 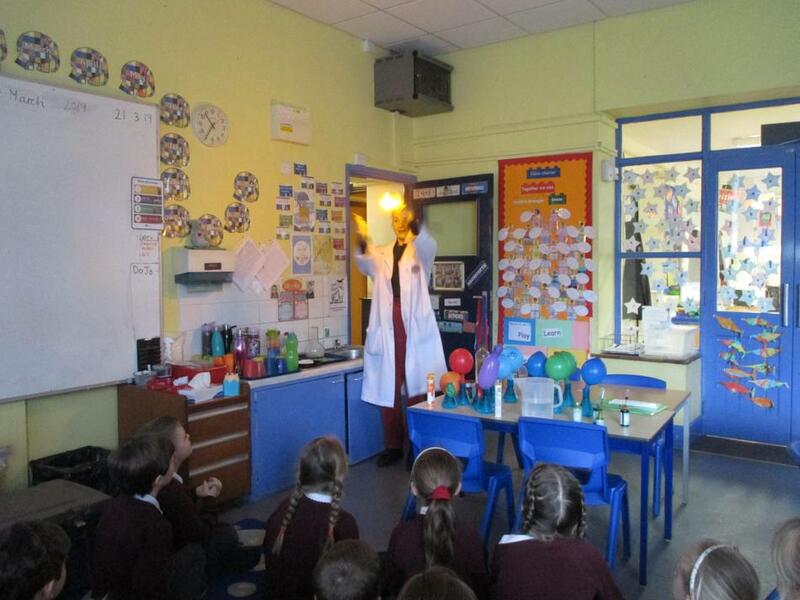 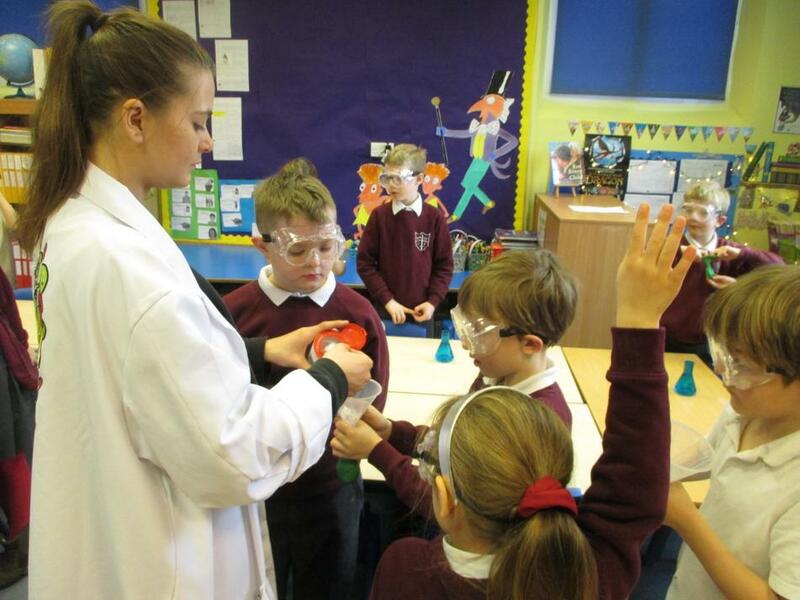 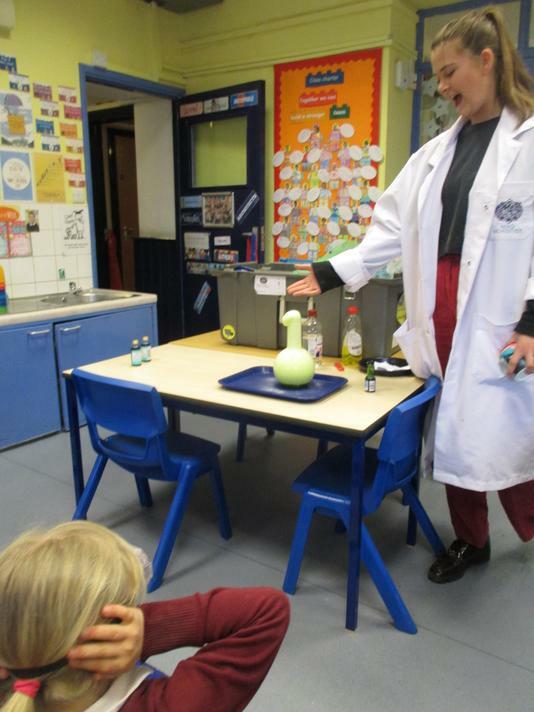 After that, Swordfish class welcomed Lava Laura for a chemistry workshop. 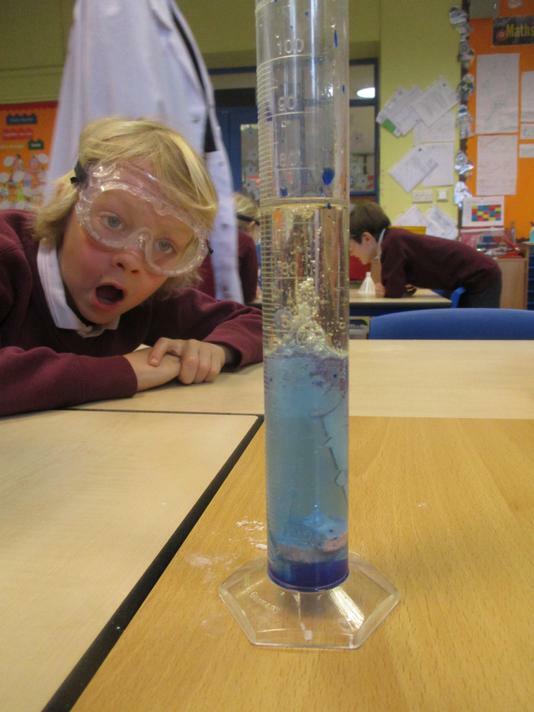 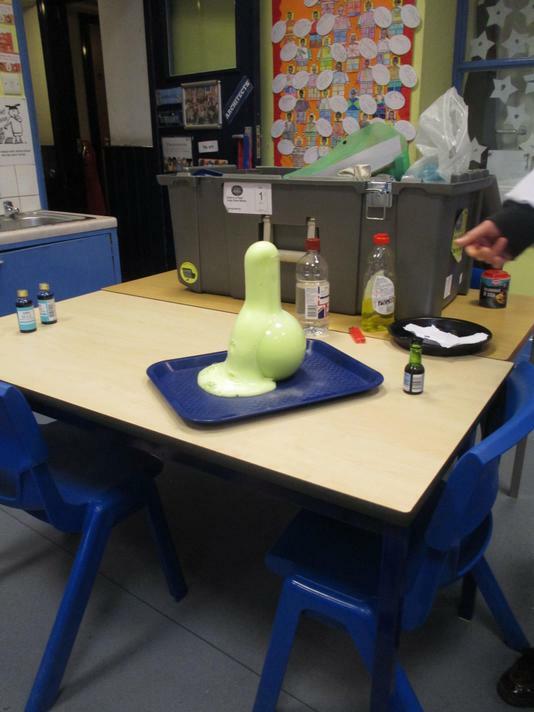 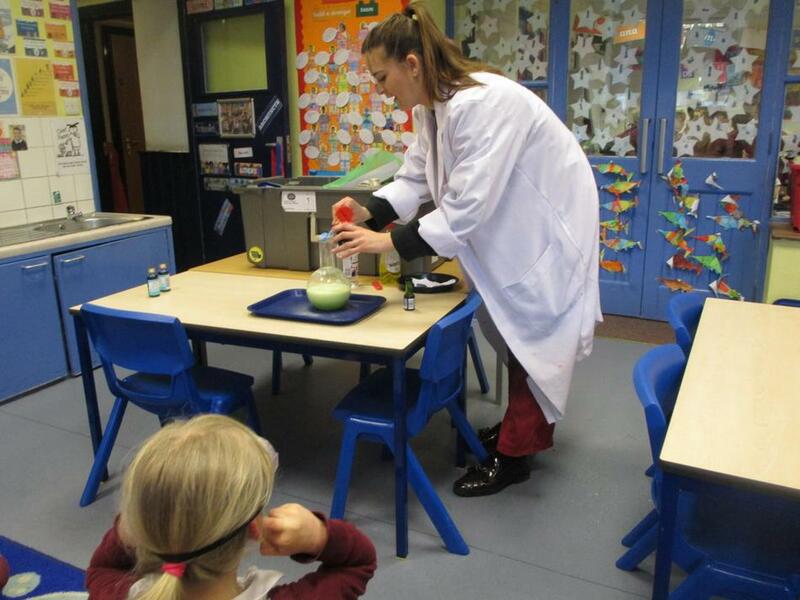 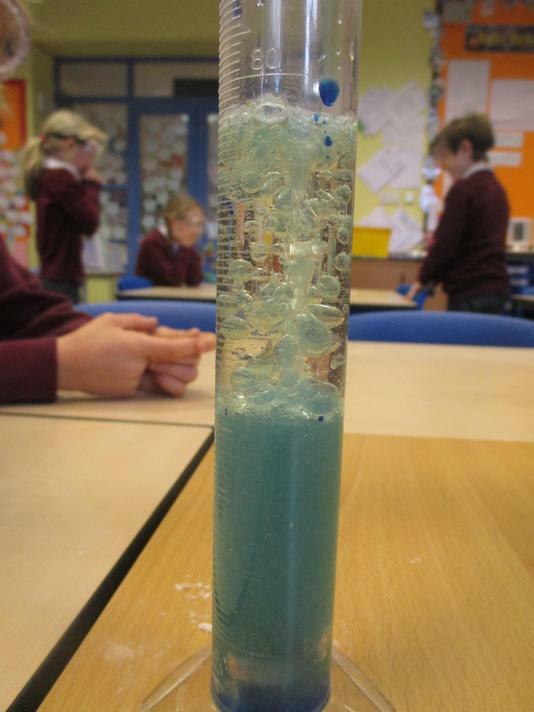 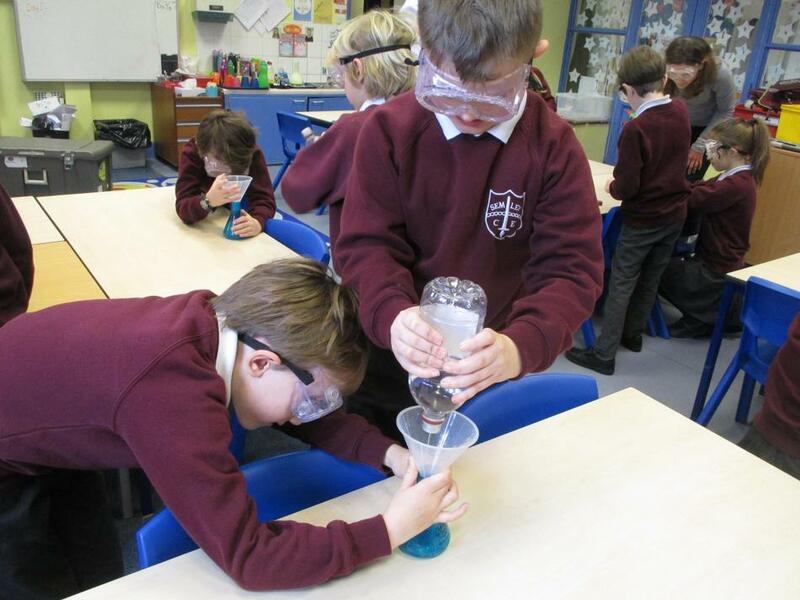 We explored the reactions that happened when you mixed an acid and an alkali and we made a non-newtonian fluid using cornflower and water. 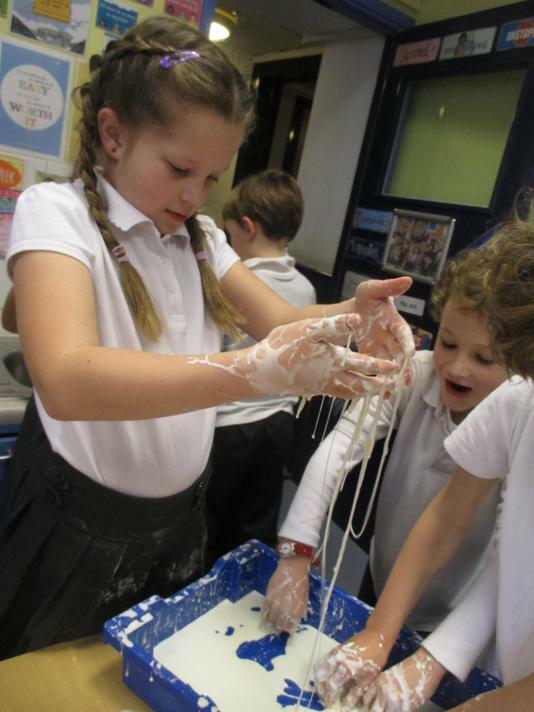 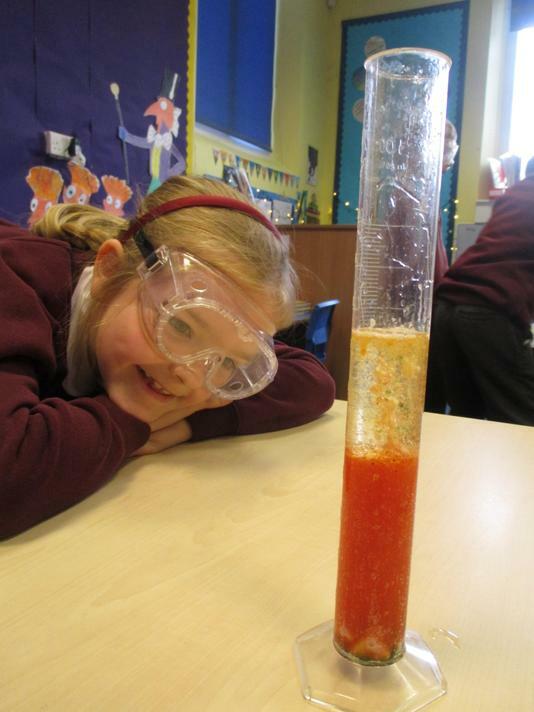 Science Day was very messy but very fun! 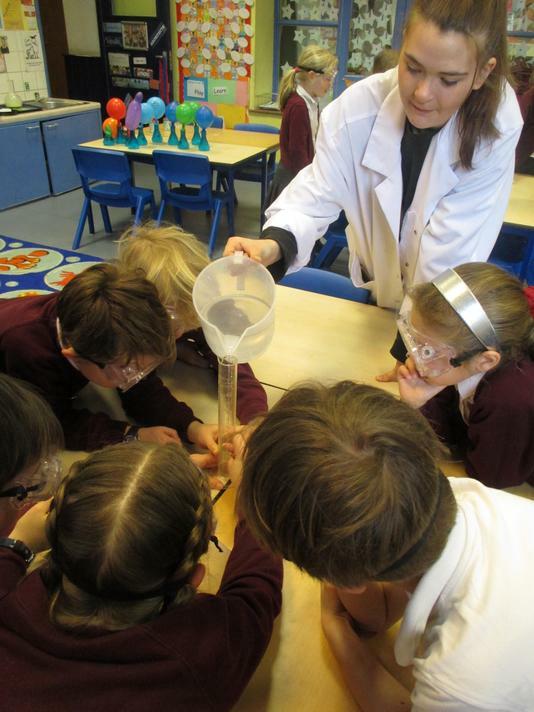 Today we began designing our chocolates. 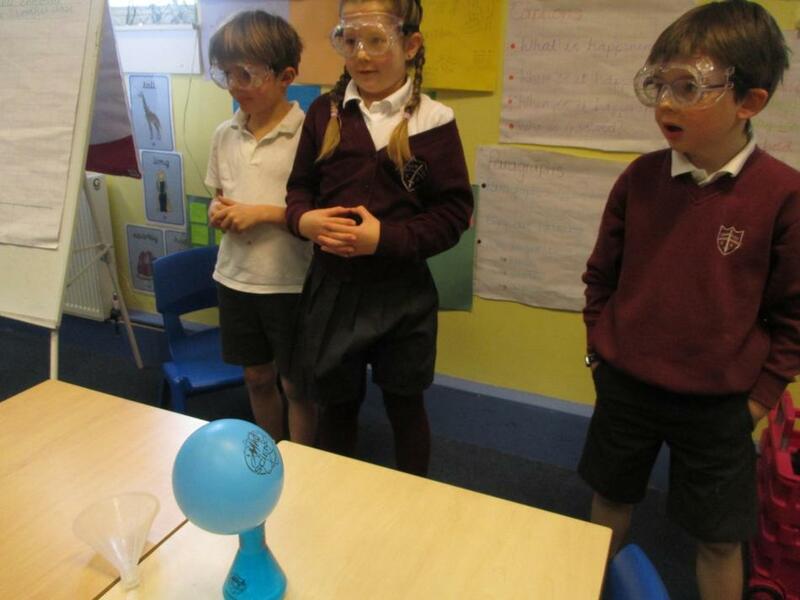 We thought about the flavours we would want to use, of course we had to give them a taste first! 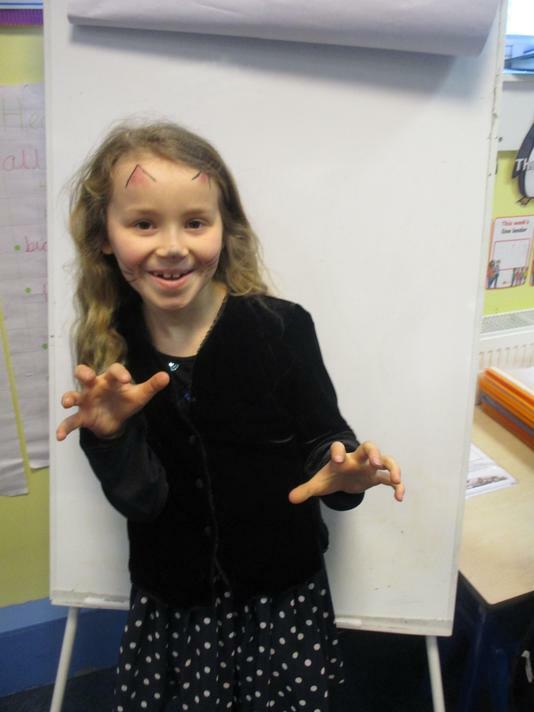 We then drew diagrams to show how our chocolates would look. 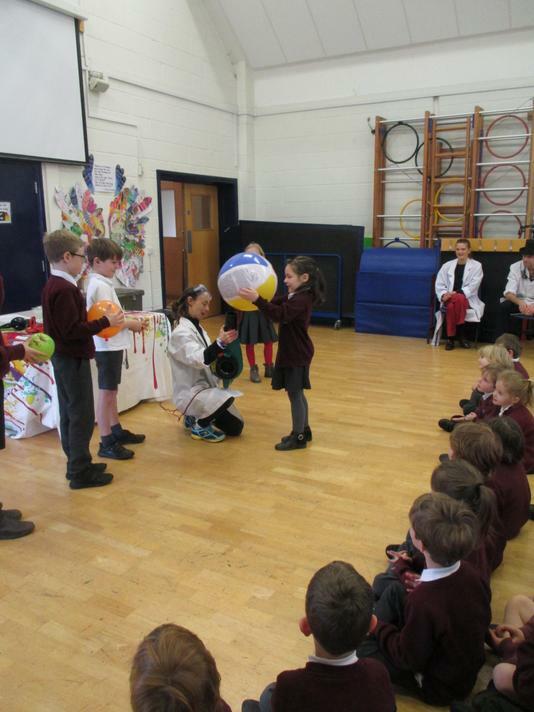 Today we have become human SatNavs! 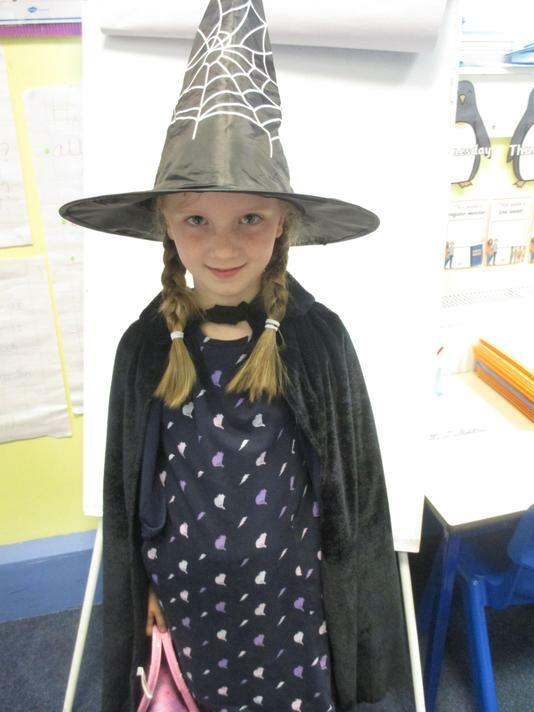 We have been using the language of forwards, backwards, 1/4, 1/2 and 3/4 turns, clockwise and and anti-clockwise. 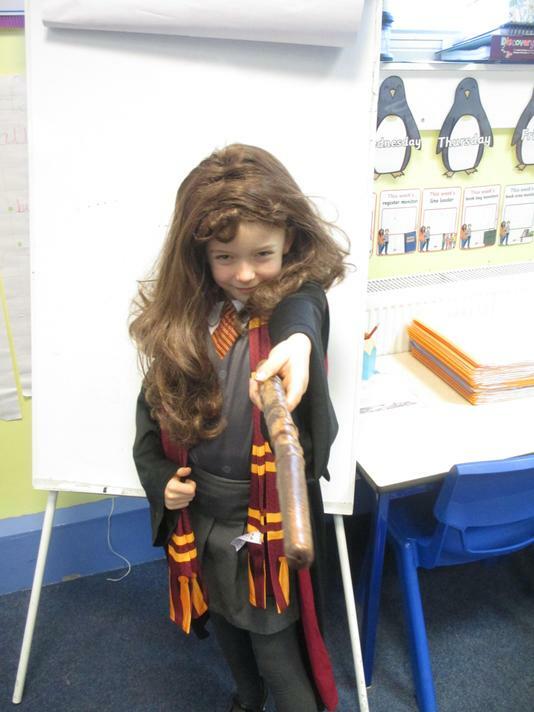 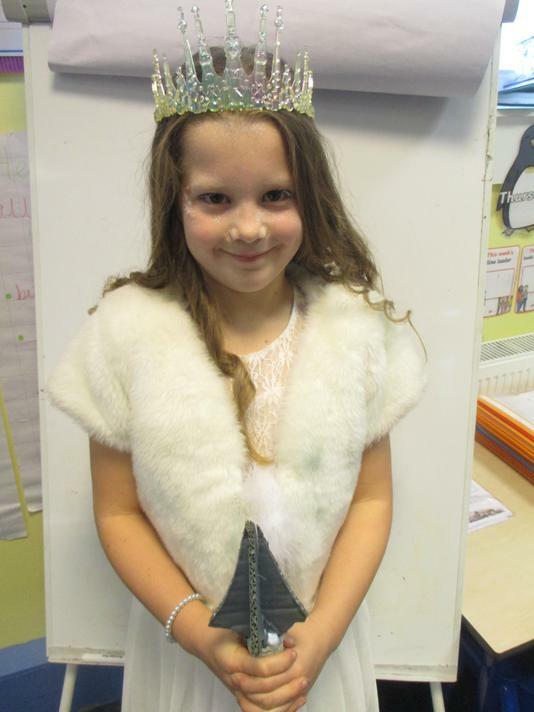 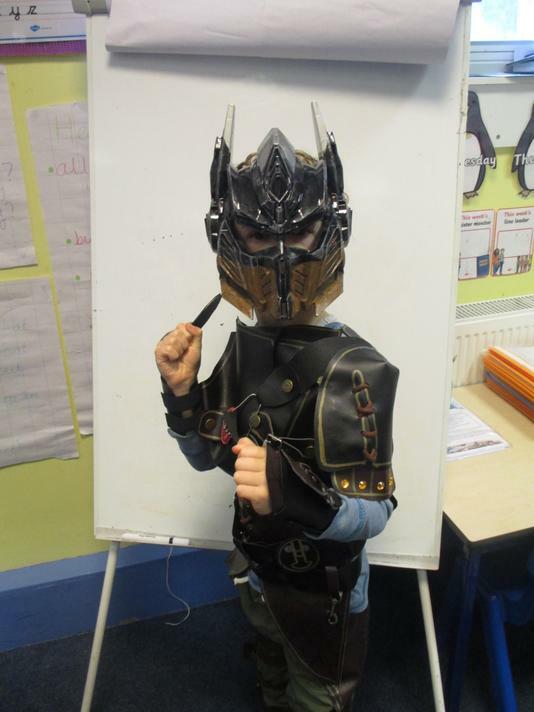 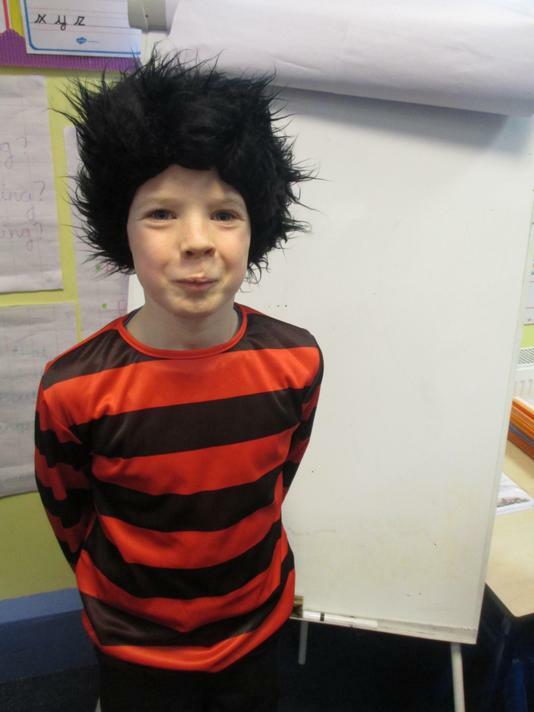 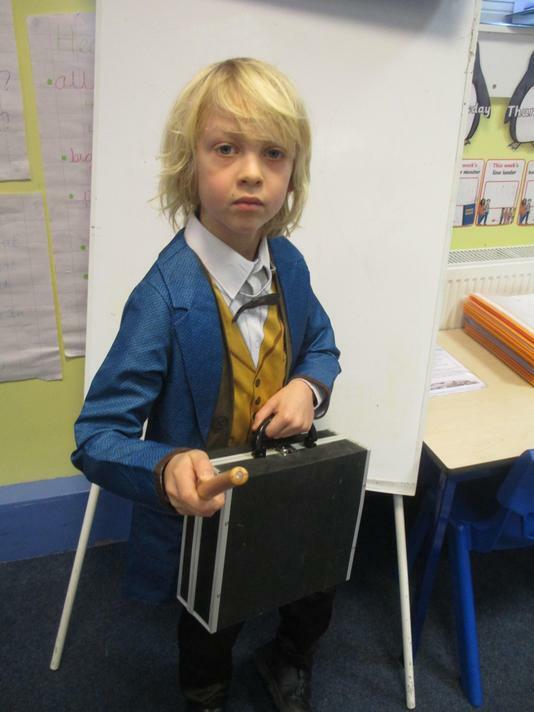 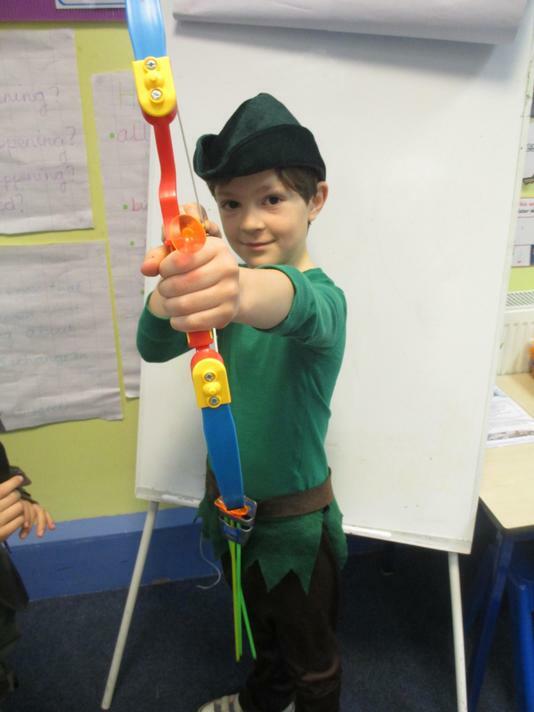 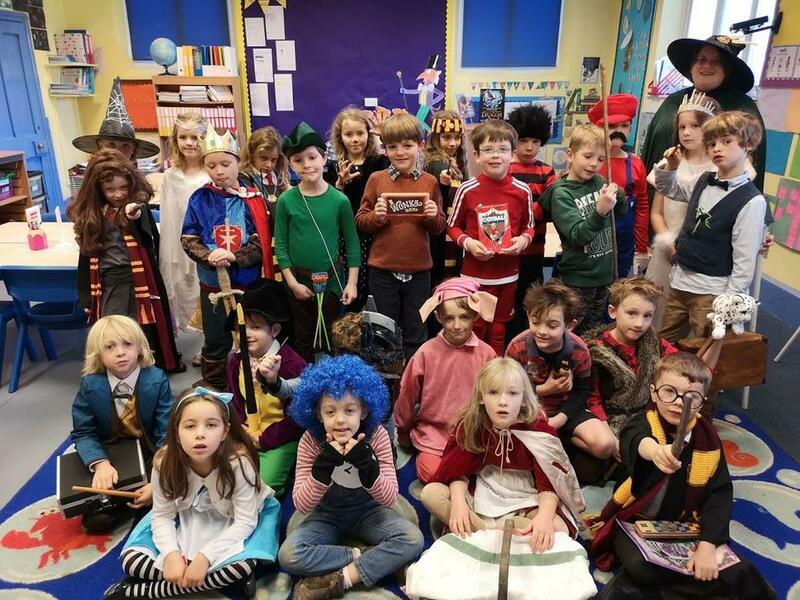 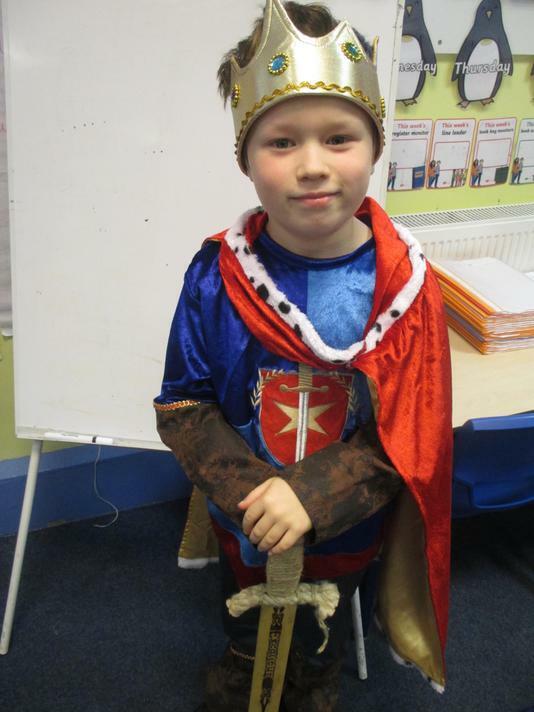 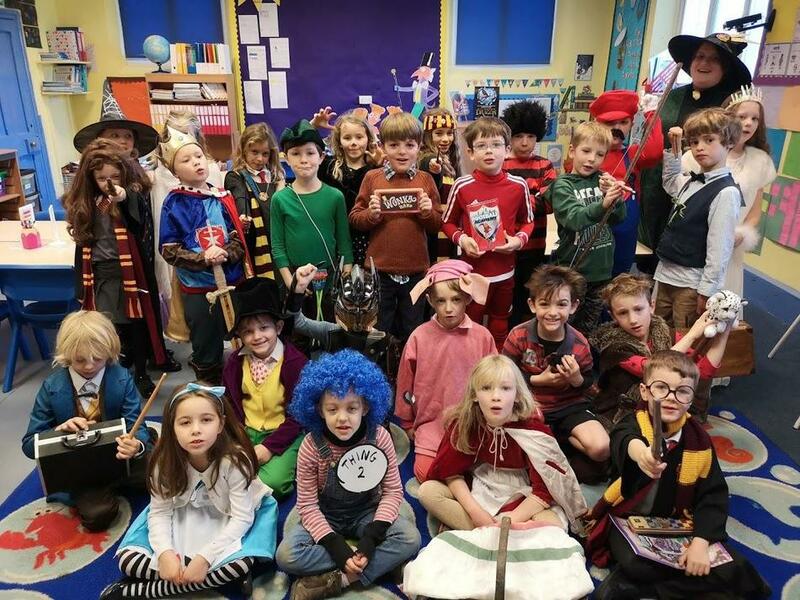 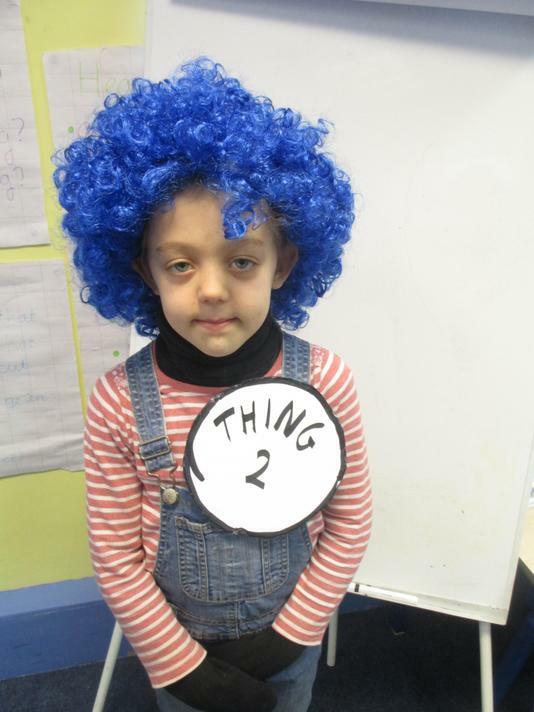 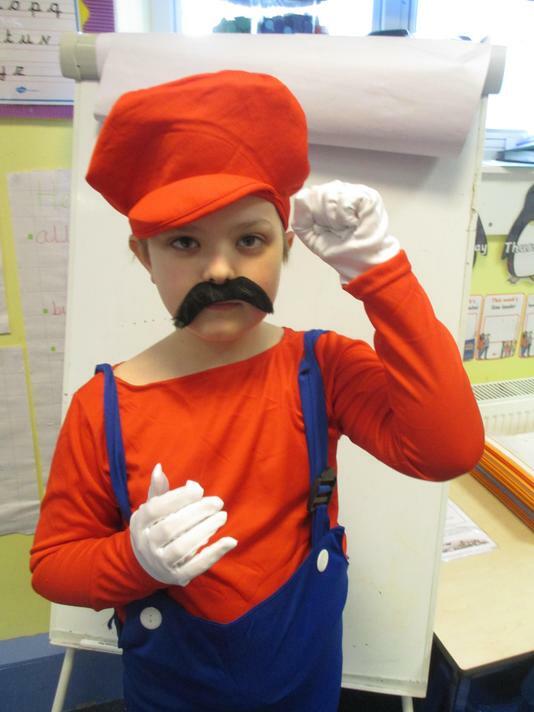 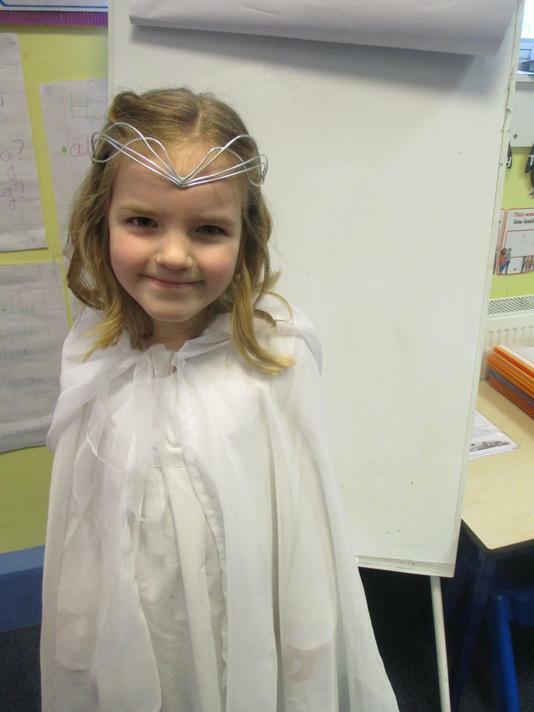 We were very excited about World Book Day in Swordfish class and we had some fantastic outfits! 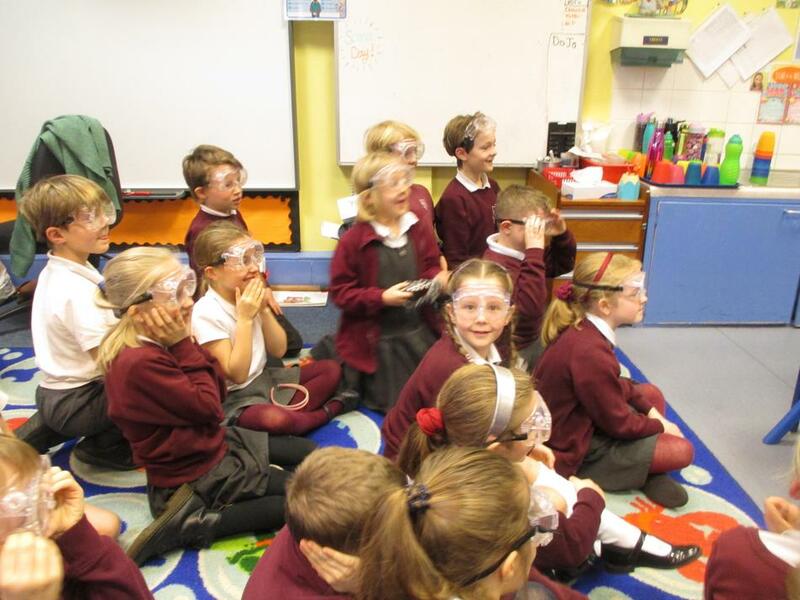 On Tuesday we went on a trip to Morrisons to learn about chocolate and how it is marketed. 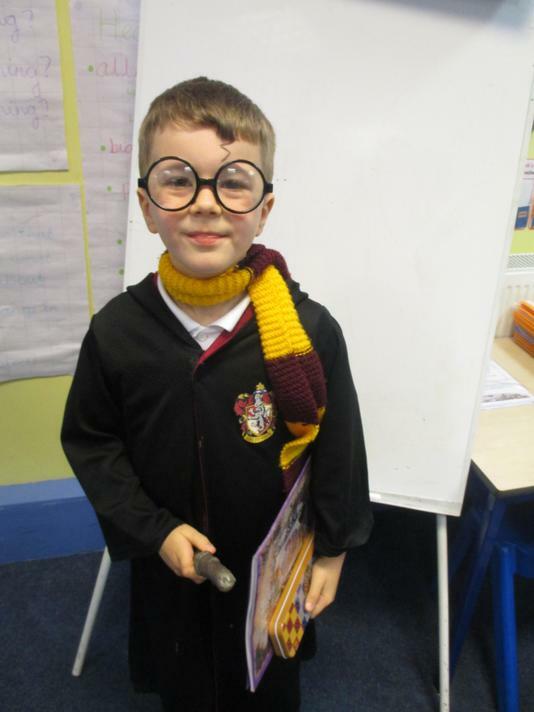 We were also lucky enough to get a tour or the store and see how different departments work. 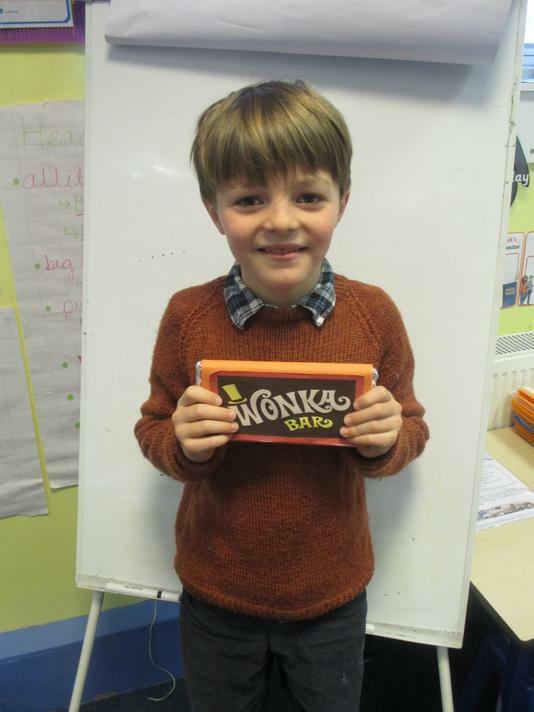 Mrs Miles set us the challenge of coming up with a sixth golden ticket winner for the story Charlie and the Chocolate Factory. 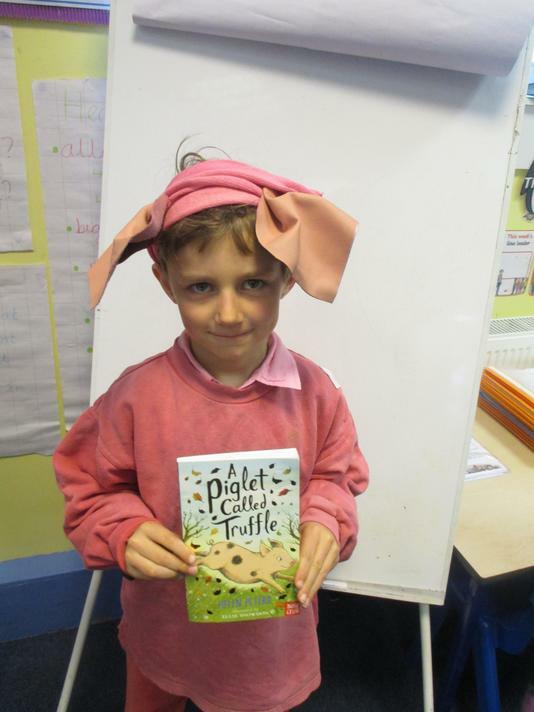 We had to think of characters that were greedy and spoilt like the other ticket winners (except Charlie!). 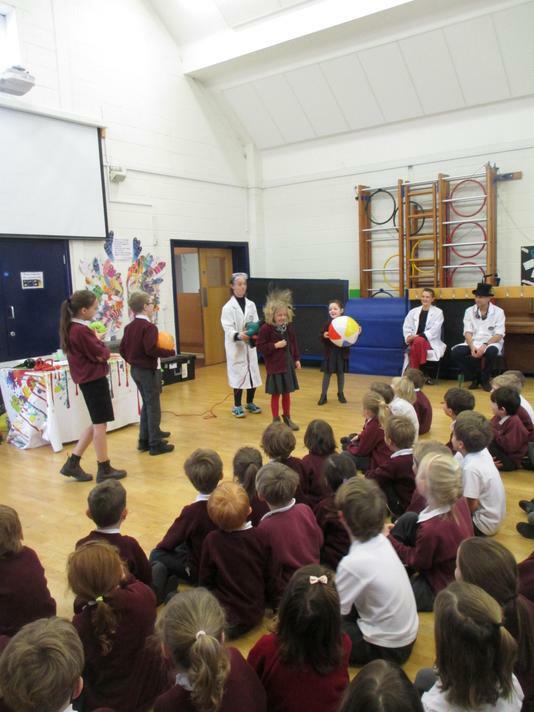 We created a room for Willy Wonka to show the sixth ticket winner a new product. 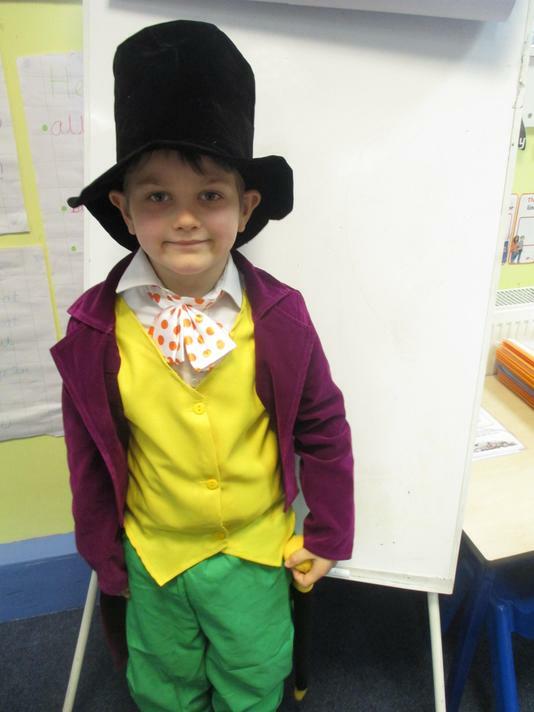 We then planned out how our character would disobey Mr Wonka and meet a sticky end! 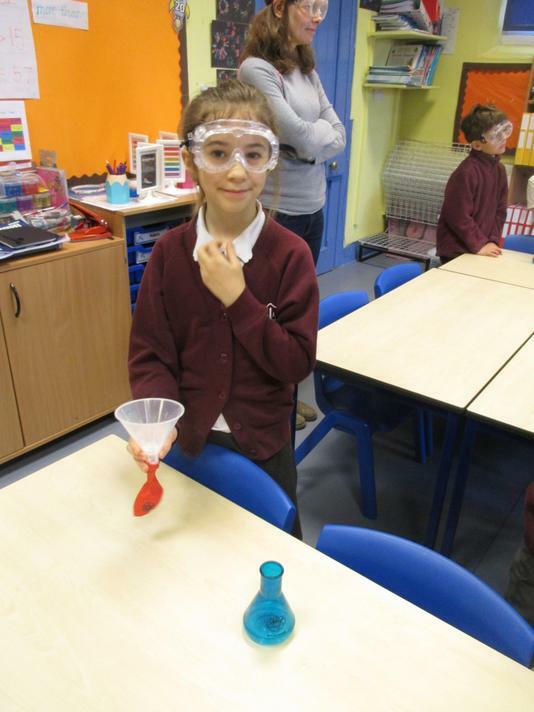 We are very pleased with the rooms that we designed. 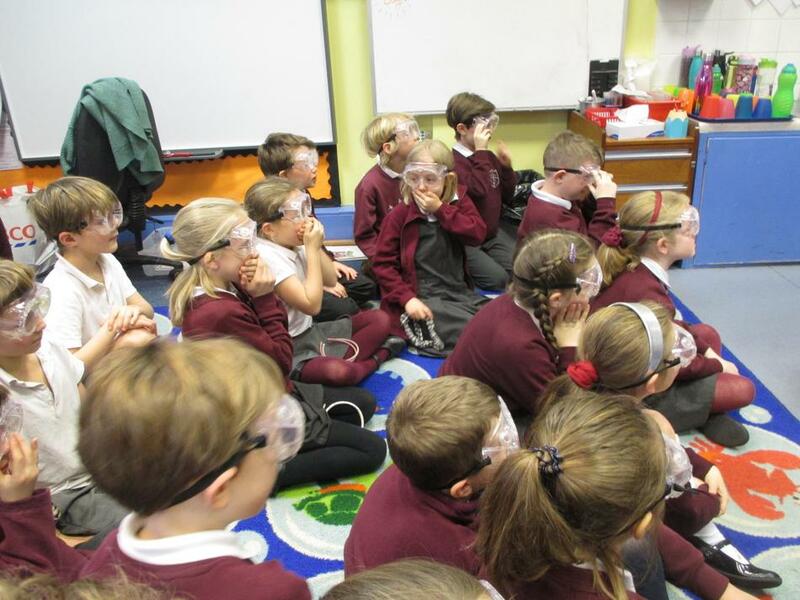 We were lucky enough to be able to look at some cocoa beans that had traveled all of the way from the Dominican Republic - one of the top 10 producers of cocoa beans. 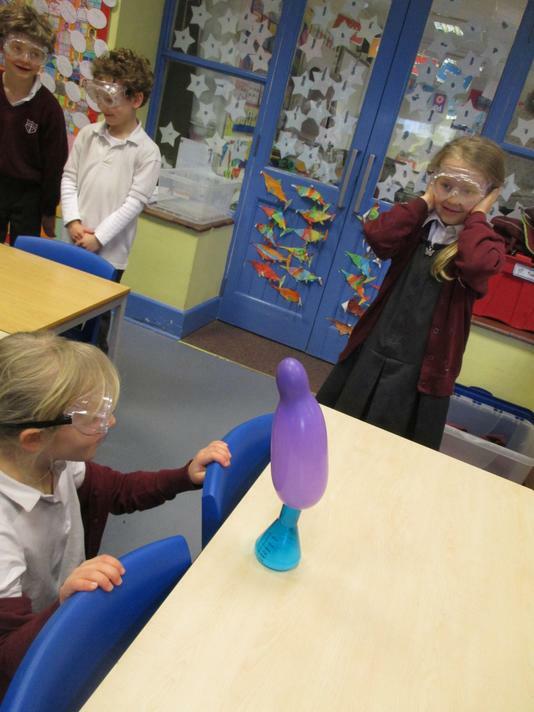 We were expecting the beans to smell delicious like chocolate but we got quite a shock! 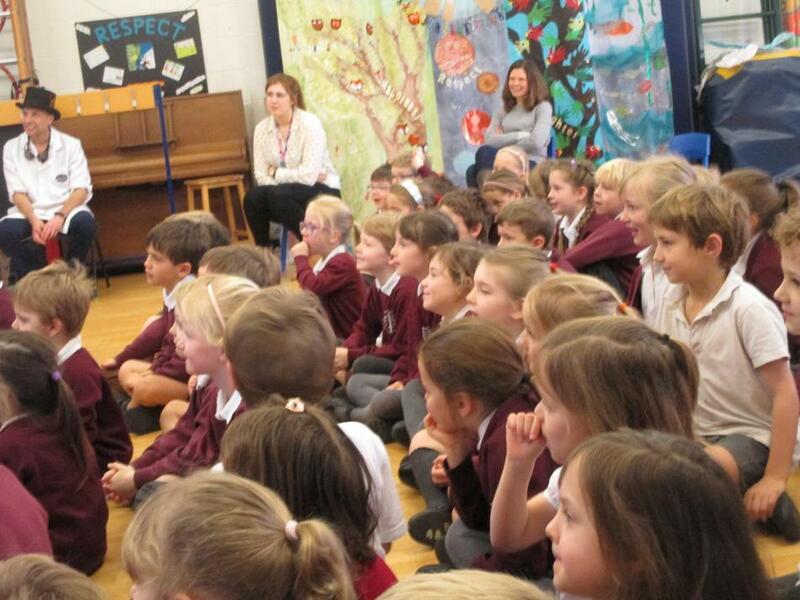 We have been looking at where cocoa beans come from and the journey that they take to reach us. 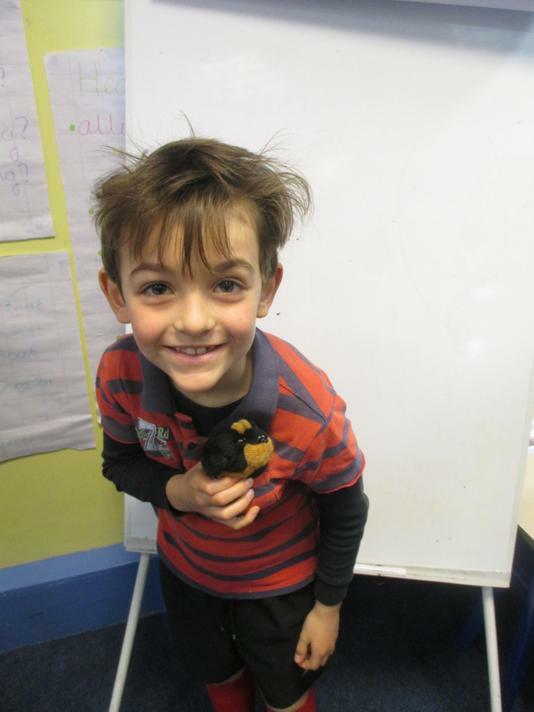 We located the top 10 producers on a map, it was a bit tricky using the atlas to begin with but now we are all experts! 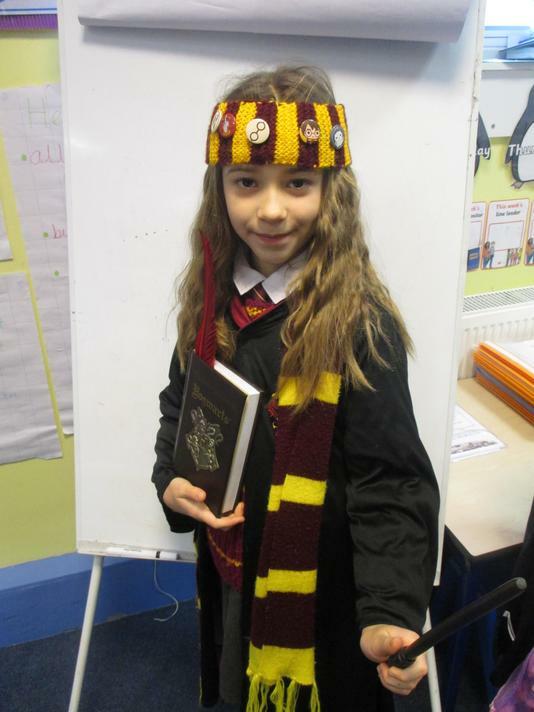 We have begun to learn about fractions and what better way to to start exploring this than to use chocolate! 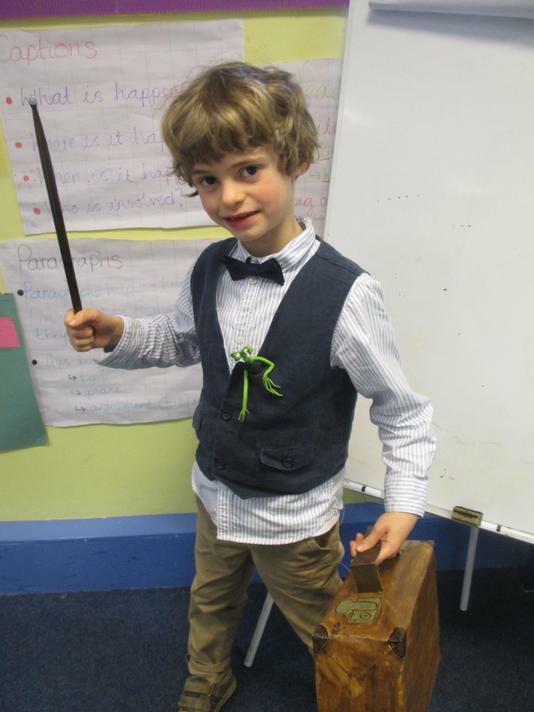 Over the past 2 weeks we have been learning about time. 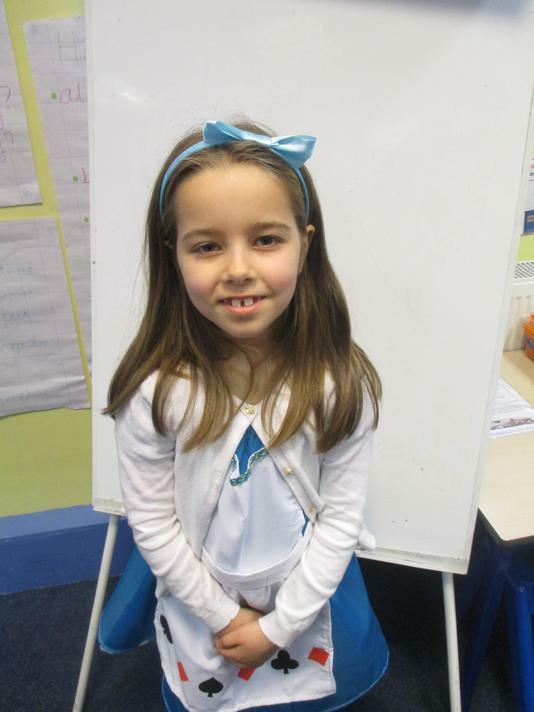 We have been looking at how to tell the time using a digital and an analogue clock. 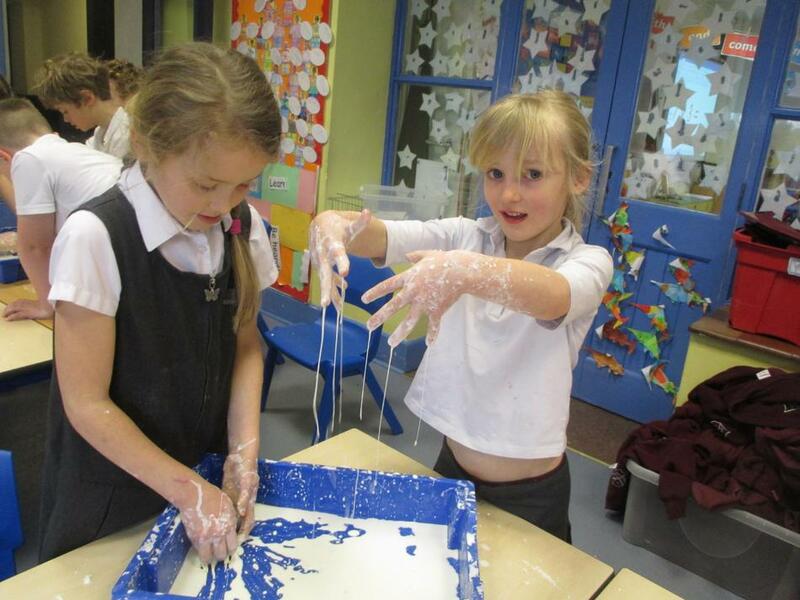 Time can be a bit tricky to learn so any practise at home would be very helpful. 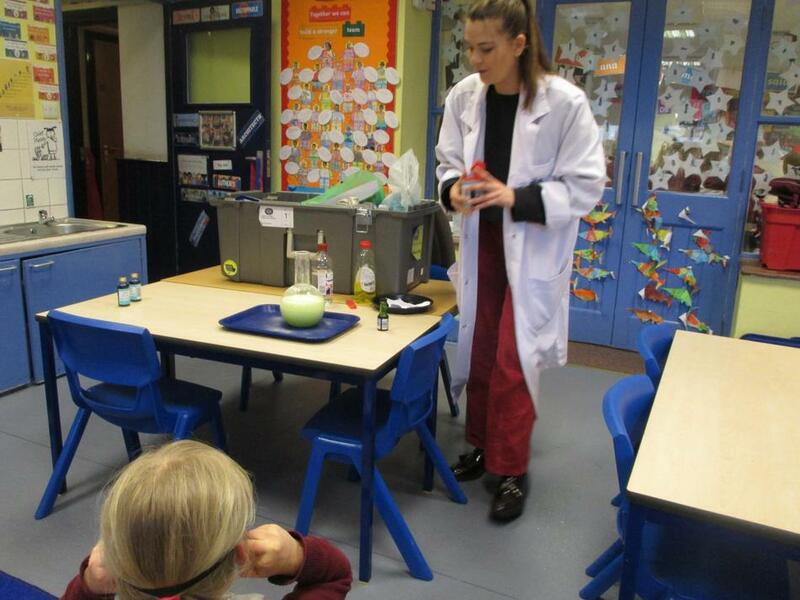 To kick off our Chocolate topic we had a chocolate tasting! 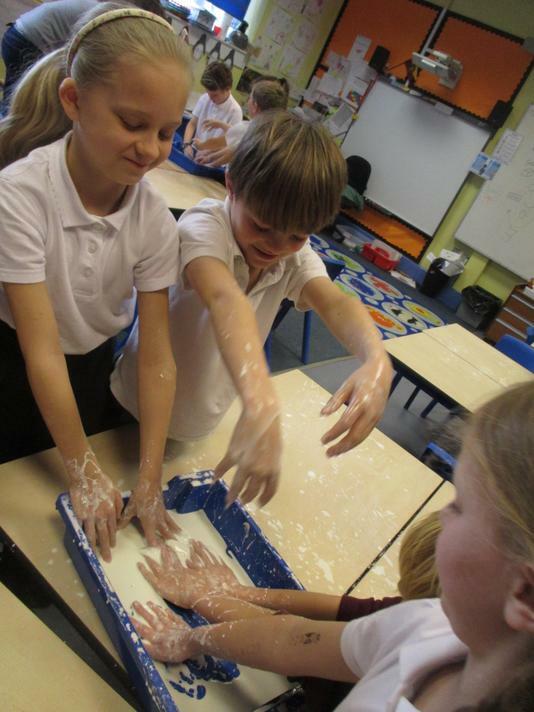 We focused on using our 5 senses to describe the smell, texture and smell. 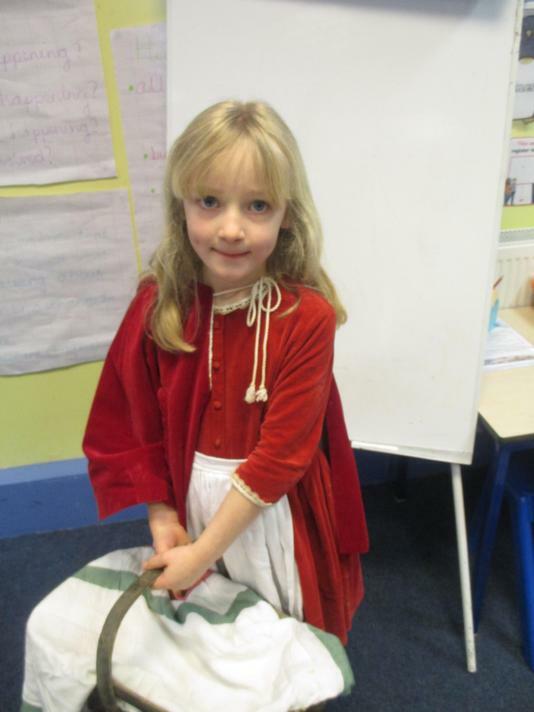 I hope you have all had a lovely and restful Christmas and New Year. 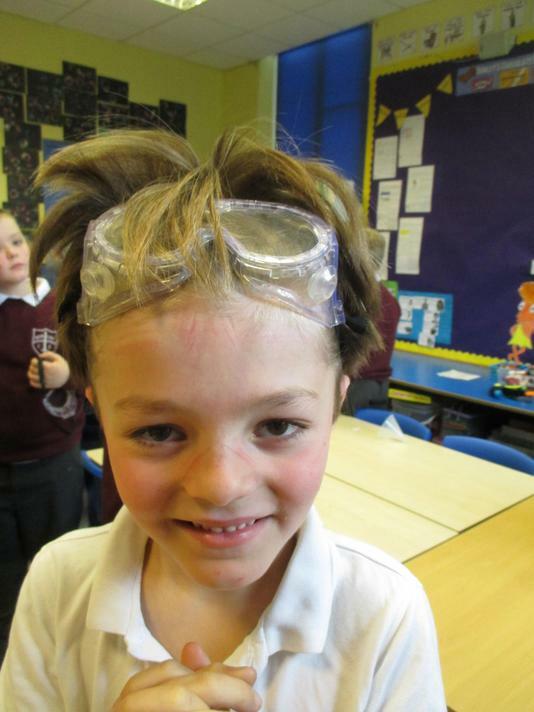 In Swordfish class we are excited to be starting our new topic - Chocolate! 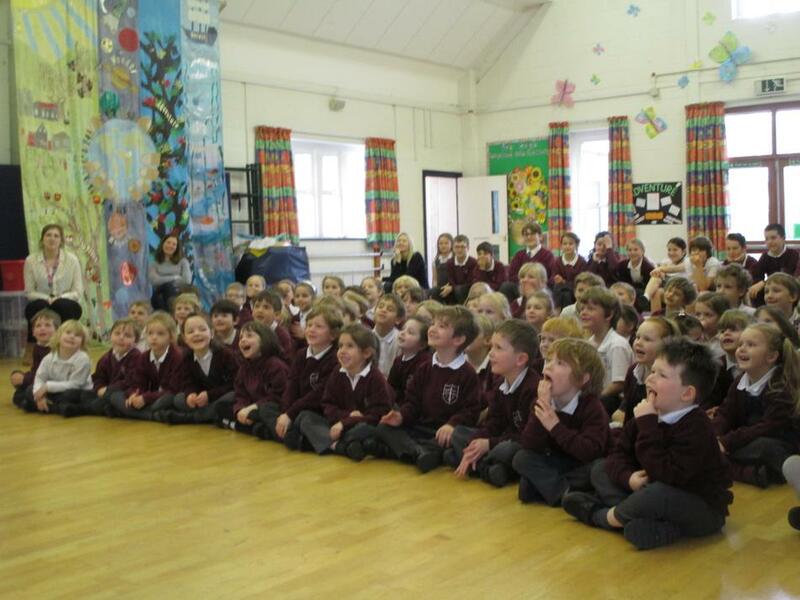 Archaeologist Julian Richards came to talk to us about Stonehenge. 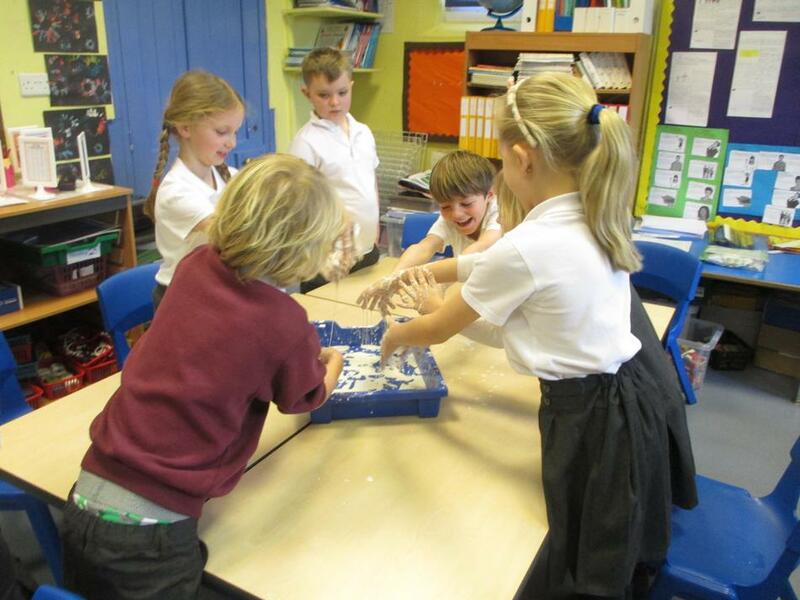 Julian set us a challenge to see if we could build rafts strong enough to support the giant stones needed to build Stonehenge. 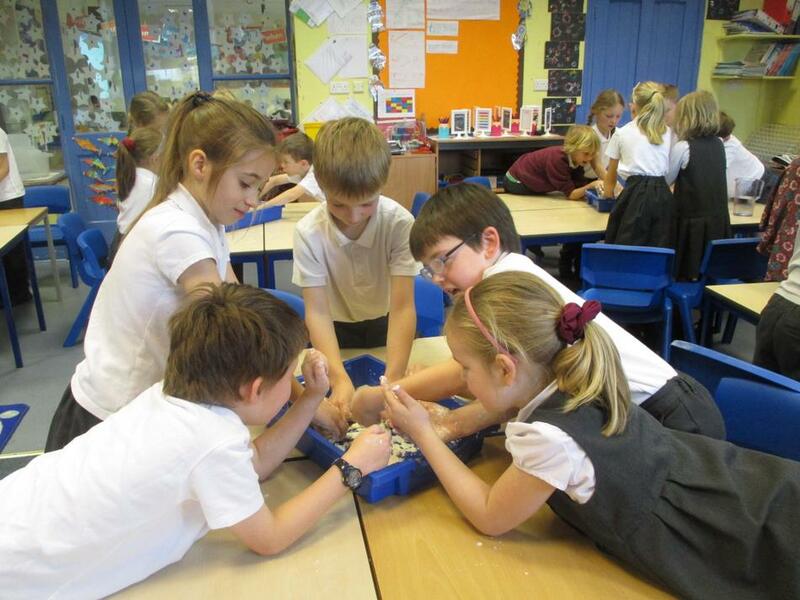 We found that although we were successful in building a raft that would float, we were unable to build a raft to carry such a heavy stone! 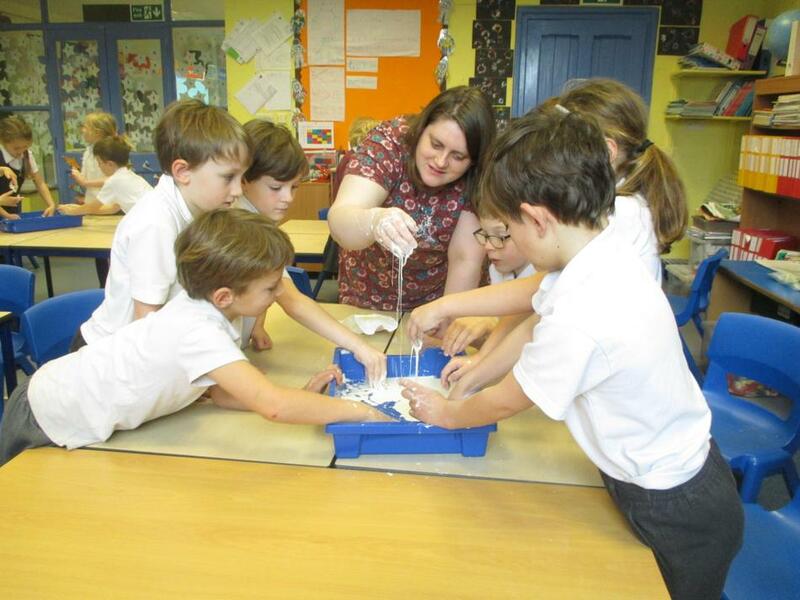 Mrs Miles challenged us to bake and build our very own Stonehenge! 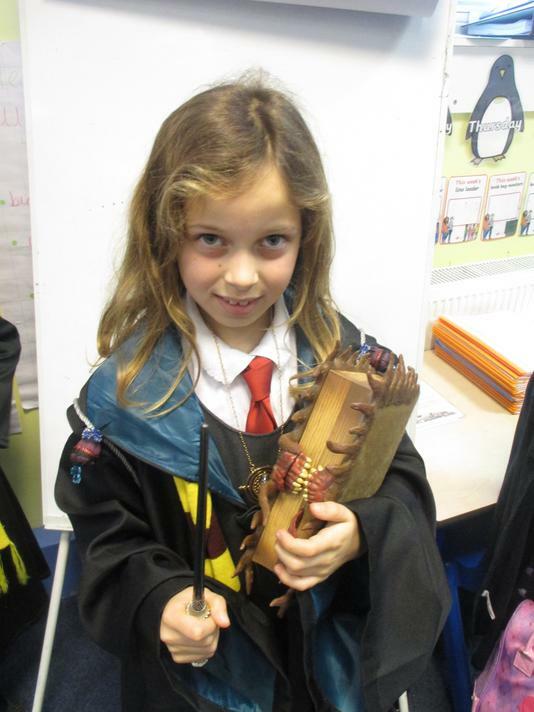 We were lucky enough to have a visitor from the Stone Age come and tell us all about life in the Stone Age. 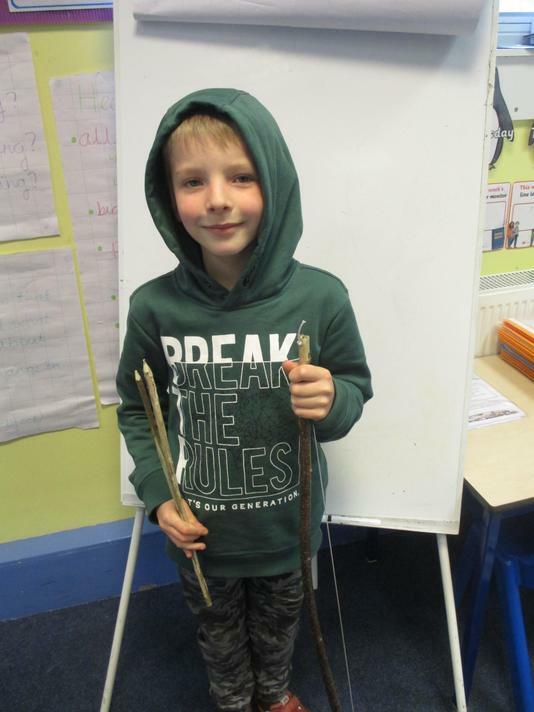 We have been studying cave art from the Stone Age and decided to have a go at creating our own - it proved to be very messy! 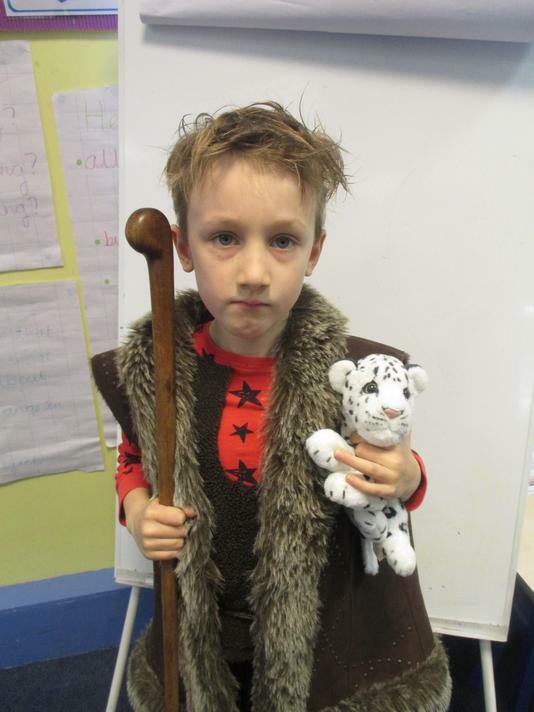 We are very excited for the start of our Stone Age topic! 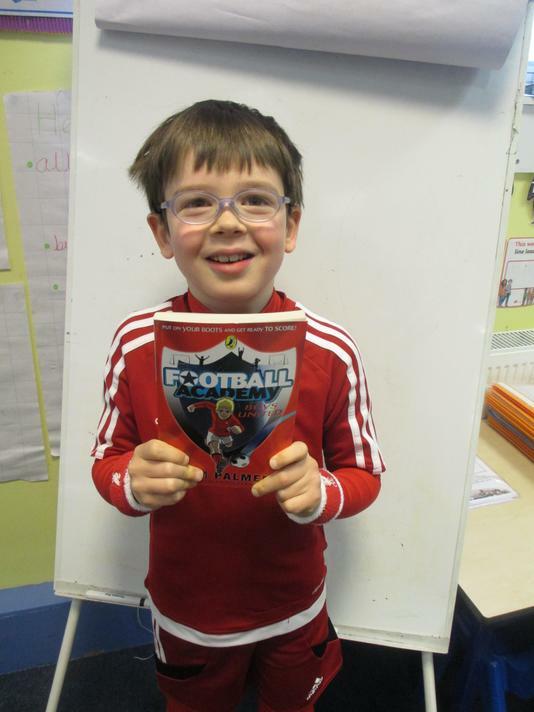 Please see our topic map for details of the topic.